Inspired by my 90-year-old father, who has re-started art classes, I jumped at the invitation to undertake the Wine and Spirits Education Trust (WSET) Level 1 Award in Spirits course. I love experimenting when making cocktails, but I know that my knowledge about some of the spirits I use is a little sketchy in places. Whilst I feel pretty confident about gin and whisky, having visited The Beefeater Gin Distillery for London Unattached and Talisker whilst on holiday in Skye earlier this year, I readily admit to knowing much less about American and Irish Whiskey, Rum, or Tequila. The Level 1 course promised to cover all of these and more. Taking place over two consecutive Saturdays and cumulating in an exam, the course was easy to fit in around normal work and home commitments. Most of my fellow classmates were taking the course for fun, but a couple were taking it either for their own businesses or as required by their employers. Hannah, our teacher, was incredibly knowledgeable. We were issued with a workbook containing space for our tasting notes and all the information that we’d need for our exam the following week. 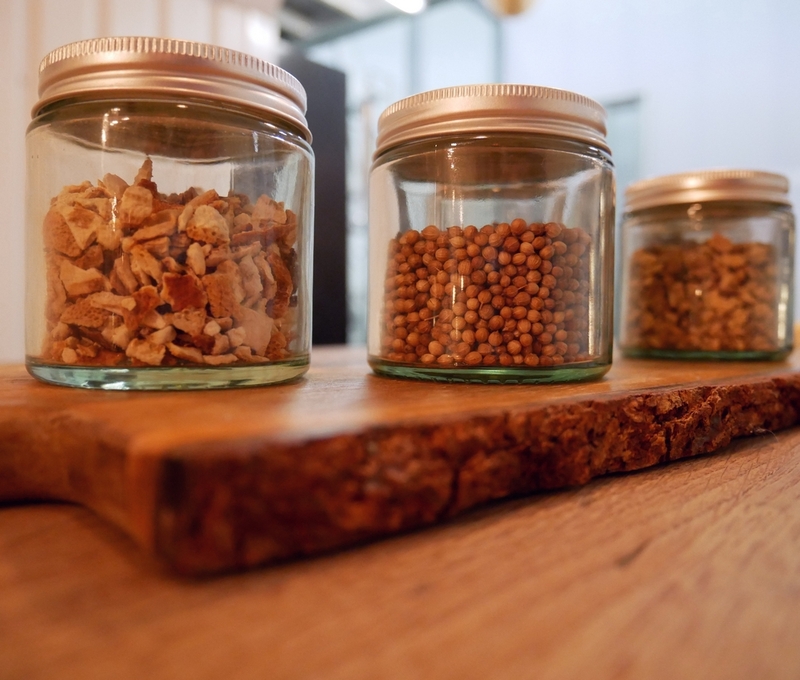 We started with an overview of the four key steps to spirits production. Namely; processing the raw material, fermentation, distillation and what happens after distillation. 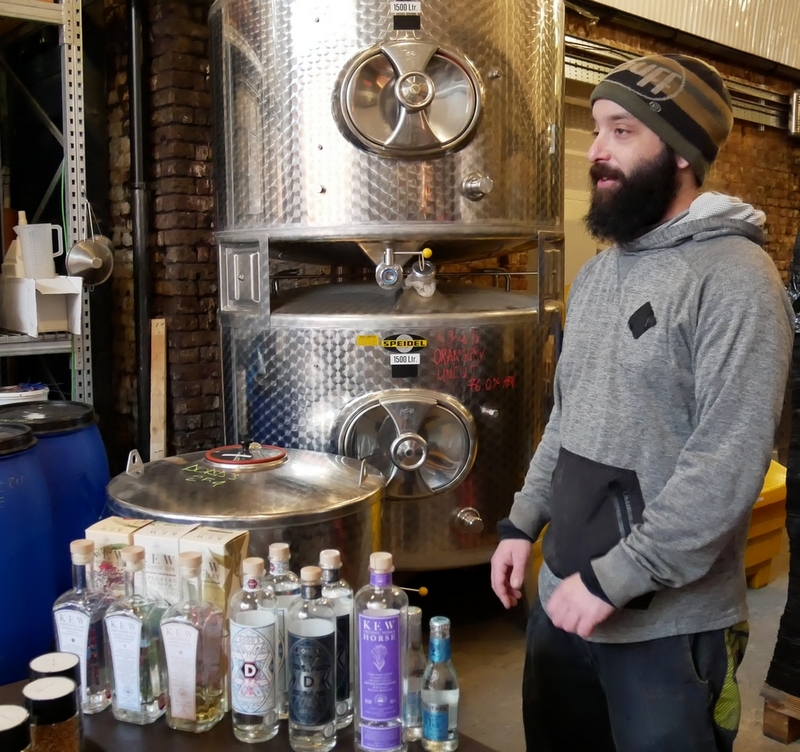 We were then treated to a visit to a local distillery where we learnt about pot stills and the process of re-distillation used to make many gins (some just have flavouring added). 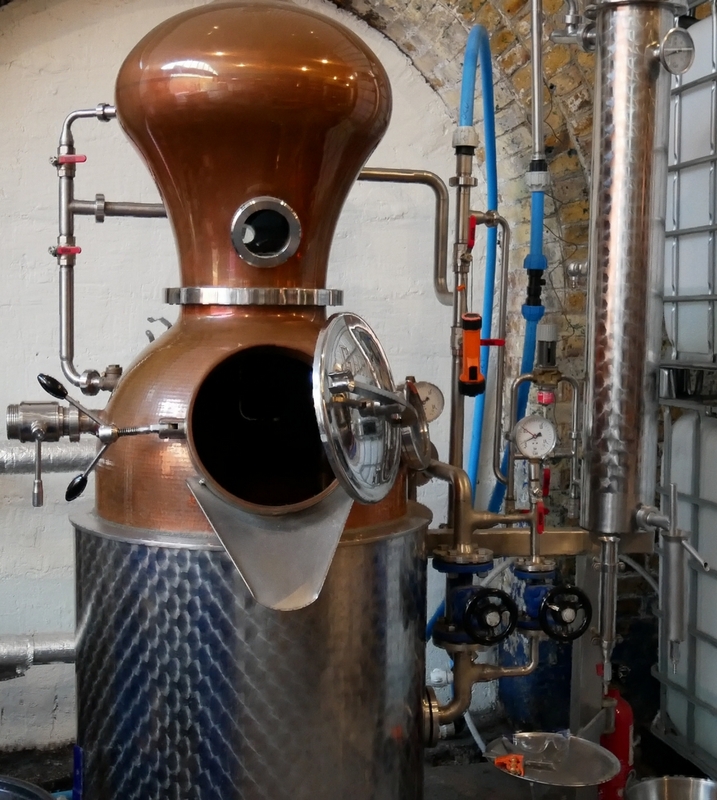 At the London Distillery Company, we got to smell the all-important juniper used to make gin, as well as some of the other botanicals used to make Dodd’s and Kew organic gins. 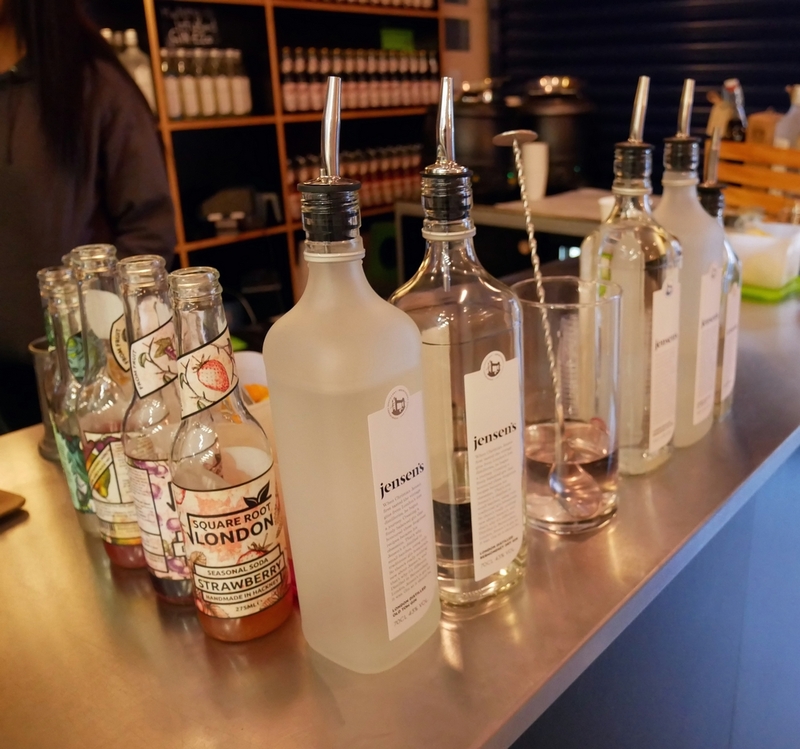 We also had a small sample of a couple of the gins (it was only 10.30 a.m!) and a sip of the Kew Horse vodka. This promised to be the perfect ingredient in a Bloody Mary with its horseradish kick; it’s certainly the most unusual infused vodka I’ve tasted to date. Toby spoke of the physical pain of preparing the horseradish. If you want to make a grown man cry – give him horseradish to prepare! If you’d like to have the same experience, without taking the WSET course, the distillery is open on selected Saturdays for tours and tastings. 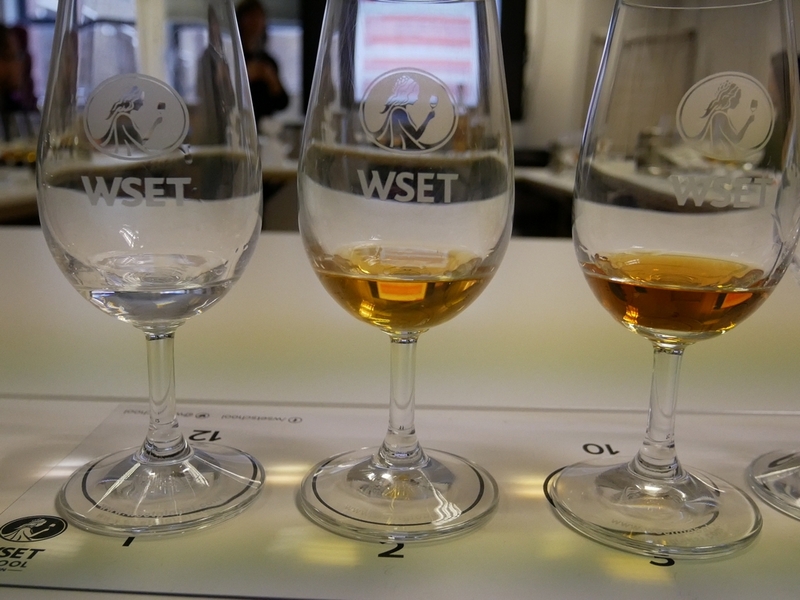 On our return to the classroom, we were introduced to the WSET Systematic Approach to Tasting Spirits. The WSET approach takes you through Appearance, Nose (Intensity and Aroma characteristics), and Palate (Flavour characteristics, Other Observations, Finish). Whilst initially it seemed very strange to be tasting spirits before lunchtime, we nonetheless set to with enthusiasm. We each poured a small amount into our glasses, assessed the appearance and the nose, then diluted the sample with an equal amount of water, reassessed the nose and finally assessed the palate. Key points were discussed to help us embed the knowledge, and Hannah regularly re-capped, ensuring that we all understood and remembered the essentials for the exam. She did the same on the second Saturday. 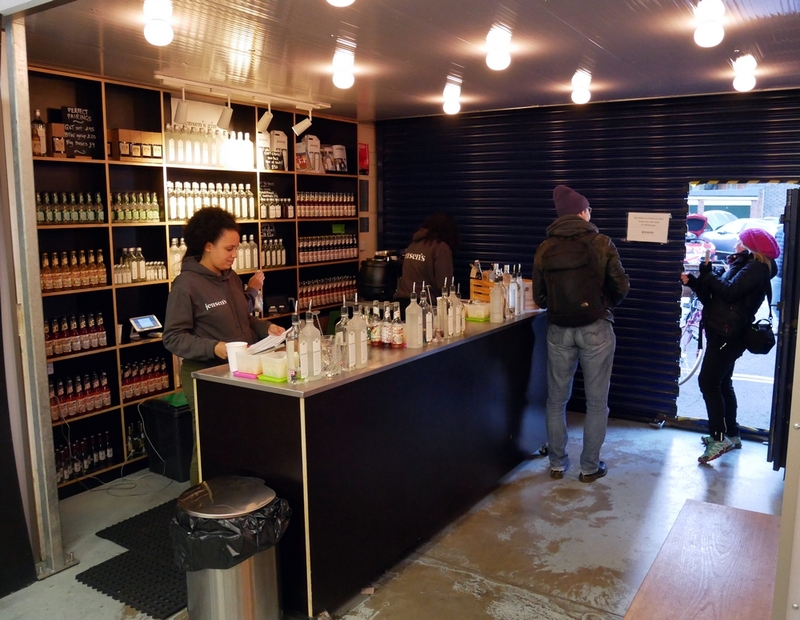 We then went on to learn about rum, tequila, gin and other flavoured spirits/liqueurs. We also looked at the theory of cocktails and how to achieve a balanced drink, as well as how to prepare and serve them. After a short practice exam, we sat the real thing. This was conducted in a formal and professional manner. Once we’d all finished we were invited to go to the Bermondsey Distillery, where Jensen’s gin is made, for a well deserved G&T. This distillery was special to Hannah, as she’d helped to set it up a few years ago. We firstly sampled The Jensen’s London Dry Gin, which is a recreation of a classic, old-fashioned London Dry style. Smooth and rounded, with delicate floral and citrus notes it is a perfect gin for a Dry Martini. We then tried the Old Tom and heard how it was recreated from a recipe dating from the 1840s. This was a more complex gin with a depth of flavour. Drinks were priced at £5 and the distillery was buzzing with lots of happy customers. Have I passed my exam? I don’t know! Results take 4 weeks to arrive, and I hope that it’s going to be good news. I certainly feel that I understand about the steps taken to produce spirits, how to make the perfectly balanced cocktail, and what type of bar equipment is used for what purpose. WSET is the world’s leading provider of qualifications in wines and spirits. Their courses are not only for interested amateurs like myself, but also for professionals. WSET offer 8 different courses from one day through to a specialist level Diploma. I really enjoyed my course and wouldn’t hesitate to recommend it to anyone interested in learning more about Spirits. 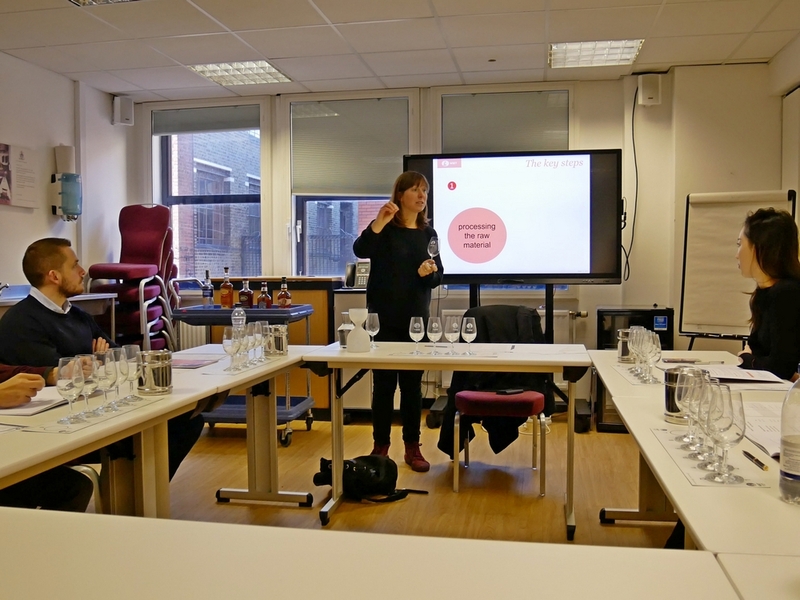 We’ve also reviewed some of the wine tasting courses at WSET and can recommend them too.